I was astounded to hear that Linnaeus, the father of taxonomy, is connected to psychiatric medicine. Insanity had been placed in the realm of God, and it was necessary to permit insanity to be the subject of science as nature. That was the birth of psychiatric medicine. Meanwhile, language, which had been deemed a gift from God, was discovered to be in the area of the brain related to aphasia. It became the subject of research as a natural phenomenon. In brain research, biology also cuts into the spirit and speech, so this is seen to be nature…but we just got involved in a difficult area. Incidentally, it’s fascinating that people are encouraged to assert that language must be natural, though in fact it is not natural. In other words, people can have delusions or fantasies. I suspect that among the desire to speak and to be heard lurks the premise, “Even if it is a delusion or a fantasy…” Interpersonal relationships are created from what is spoken, so I tend to think human society was originally designed to allow delusion or fantasy. Is this natural? Is a dimension that does not actually exist, but is created by an endless stream of words, in fact natural? I think that psychotherapy, which is part of my work, is always exposed to this question. In the same way, is the development of human society, including the unnatural aspects that created by language, natural or not natural? That is a major issue. I think the concept of Dr. Nakamura’s Biohistory Journal is a new mechanism to question this dialectic similar to psychotherapy. 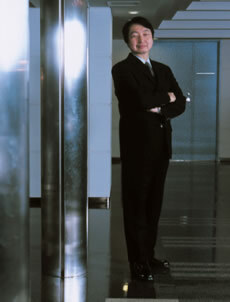 Born in 1950, Shingu is a professor in Kyoto University’s Graduate School of Human and Environmental Studies. His specialty is psychiatric medicine. Dr. Shingu is exploring the world of the unconscious through clinical work in delusion and fantasy, and in works of art, based on the theories of Freud and Lacan.